8 tips for dealing with your latest diagnosis. POTS: Postural Orthostatic Tachycardia Syndrome, a form of Dysautonomia that affects between 1-3 million Americans and millions more worldwide. "For those of you who may be thinking "dysauto-what?" --dysautonomia is an umbrella term used to describe different medical conditions that cause a malfunction of a person's autonomic nervous system" (Dysautonomia International). If you just got diagnosed with POTS, it's probable you've heard of it before. It's likely you've struggled for years with undiagnosed symptoms and done a fair amount of research on what might be causing your symptoms. But whether or not you've read about POTS or heard the term Dysautonomia before, I have some tips I want to share with you. I was diagnosed with POTS (as well as vasovagal syncope) last week, so I've put together a list of the things that have helped me start to cope and deal with this diagnosis. 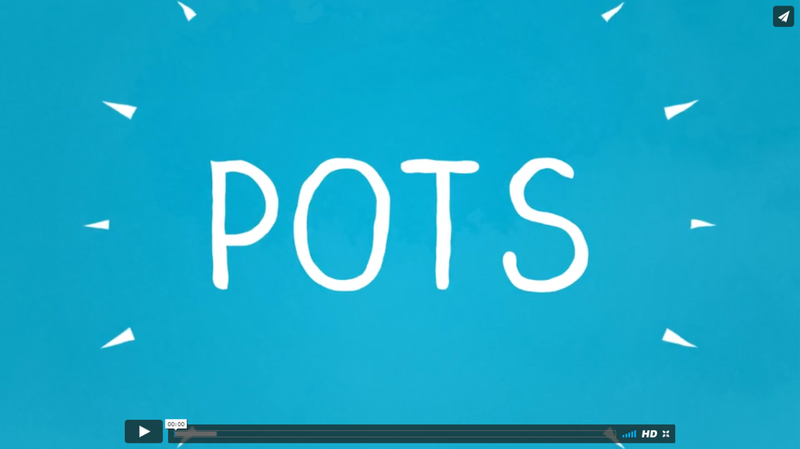 This video--a four-minute summary of POTS put together by Dysautonomia International--made me cry the first time I saw it. The very fact that the doctor said, "Just because someone doesn't look sick doesn't mean they aren't sick" is still amazing to me. 2. Remember that you don't have to tell everybody all at once. Not a lot of people knew I was having a tilt table test, but everyone who did, of course, wanted an update. A few days after I was diagnosed, I was around a lot of people who asked how I was doing and what was new health-wise. I found myself telling or texting the same story over and over again, and it got to be too much. It's okay to just say, "I'm hanging in there," and not go into a full update. Not everyone needs to know, and it's your right to decide who you tell and who you don't. 3. Don't be afraid to ask people to stop talking to you about it. My family is fantastic, and they care so much about me. I know that, and I truly appreciate them. However, their care became manifested in constantly talking about POTS and what I could do about it and how to "fix it" or make me better. Every conversation for days after my tilt table test seemed to be filled with POTS, POTS, and more POTS information. After one particular conversation, I realized I hadn't been able to think about it for myself, and I just needed time and space. My therapist told me that I really needed a break and that it was okay to need space and to ask people to not talk about it with me. I asked my mom if we could "take a break from POTS" (as far as talking about it; if only my body would take a break, too), and she graciously agreed. So, I'm here to tell you it's okay for you to do the same! Tell those close to you that you're not asking them to stop researching your diagnosis if they want to, but you are asking them to stop passing any information along or engaging in conversation about it. Set a time frame, and let them know when they can forward you any links or resources they've found. 4. Let yourself cry about it. You should also know that it's okay to cry about it. 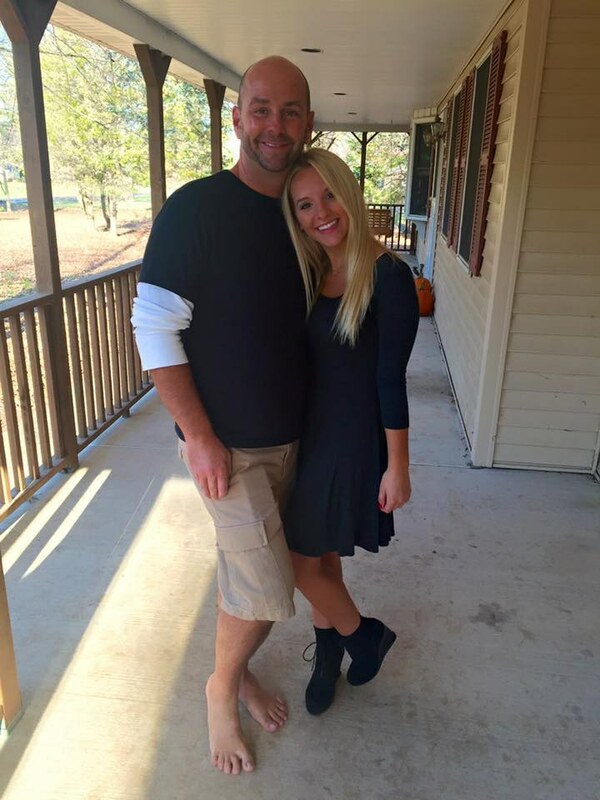 It was odd for me to realize I needed to grieve my new diagnosis. I had been expecting it. It wasn't a surprise. So, why did I feel so panicky and sad? I think there was still a part of getting a POTS diagnosis that was surprising for me. I've gotten so used to doctors saying, "Nothing is wrong; you're fine," that to have one look at me and say, "Yes, you're sick," is still kind of shocking. My diagnosis was a huge reminder of the reality that I am sick, and I needed to take time to process that. I honestly still do, and I'm learning that that's okay, too. So, let yourself breakdown, cry, get angry, or all three at the same time. Whatever way you need to grieve (as long as it's a safe way! ), let yourself go there. 5. Do your research to find out what will help YOU. While there are a number of things that seem to help all POTS patients, you will also hear a lot of conflicting information. "Never have caffeine again." "Caffeine helps some patients." "Cut gluten out right now." "Diet may not be as important." "Drink only water." "Any fluid is helpful." "Eat potato chips for salt intake." "Don't ever eat starches again." And so on and so forth. Research what other people have found to be helpful, and try things out. It will probably take time to find what helps you feel the best. Don't get overwhelmed with all the information and try to immediately implement everything everyone says will help. Instead, slowly work to find what helps you. 6. Start by implementing the things that are generally helpful for everyone. It's been proven that increased fluids are a good thing. Grab some vitamin water or an infuser water bottle to help bring flavor to your fluids. Increased salt is a good thing, too, so slowly increase the amount of salt you eat or take salt tablets. Ask your doctor for the best way to go about increasing salt. Compression socks are also highly recommended. Here are some of the cutest ones I've found. 7. Check out these resources. Dysautonomia International: a "non-profit founded in 2012 by patients, caregivers, physicians, and researchers dedicated to assisting people living with various forms of dysautonomia." The POTS Center: "This guide – which we’re calling the POTS Center – is intended to be the most comprehensive online resource on POTS." POTS - Together We Stand: Riding the Waves of Dysautonomia by Jodi Epstein Rhum: This is pretty much a "survival guide" to POTS, written by a mom of three chronically ill children, including two who have been diagnosed with POTS. Postural Tachycardia Syndrome (POTS): All That You Need to Know by Fhilcar Faunillan: I haven't started reading this one yet, but we ordered it, and it looks like a good guide for POTS patients and their families, friends, and doctors. 8. Know that you will be okay. I know chronic illness is a hard, scary, overwhelming thing to face, but you're facing it. You're doing the hard thing, and you're doing it well. Now that you have an answer, you can treat your illness and manage your symptoms in a more knowledgable and hopefully effective way. Don't give up now. There is hope.